Quite a lot has been written ABOUT Montessori in the past century, but any Montessori teacher worth her salt will tell you that reading straight from the source is invaluable. It is the glue that binds us as Montessorians, regardless of how we manage our classrooms, what projects we choose take on, or how we interpret the curriculum. It unites us. Here are my top recommendations for books written by Maria Montessori herself. Keep in mind that these books were all written before 1950, many are composites of her lectures, and they are all translated into English from Italian. Whatever they lack in contemporary style is made up for in poetic eloquence. Think of these works as a sort of Montessori time capsule. Montessori approached the education of children with the view of a scientist. These books are not "how-tos" on the Montessori method. In fact, it is said that Montessori herself did not like the word "method" but preferred that her ideas be thought of as an approach to living a fulfilling life, helping children reach their own potential on their own terms. These books lead you into Montessori's psyche as she evaluates each stage of a child's development (yes, from conception), explores various hands-on materials for teaching, and ponders on what it means to be human. For those of you who are looking for a clear explanation of Montessori curriculum, you will without a doubt be disappointed. 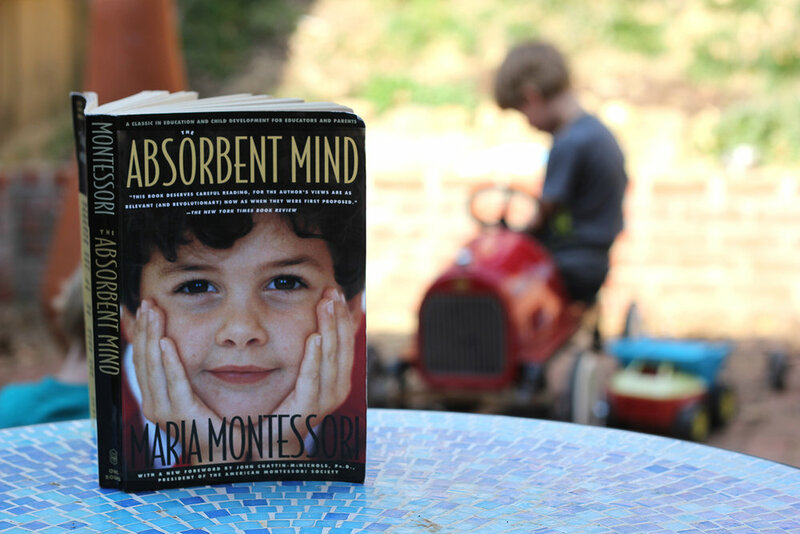 For those of you who are willing to go deeper and read Montessori's own words as a guidebook to studying and pondering the meaning of life for today's children, there are rich intellectual rewards here! If you are going to read just one book on the subject, you can't go wrong with either of these choices. In fact, read both! Published in 1936, this book is one of my favorites for newbies looking to start exploring Montessori philosophy. In the Montessori 101 Facebook forum, I chose this book for a long-term book study because I feel that it offers such a good introduction to Maria's theories. This passionately written book, from start to finish, is a call to action - urging all adults to advocate for the rights of the child. This book was published fairly late in Maria's life and is one of my favorites for those who are looking to go deeper into Montessori's theories as she had fully developed them. Grab a highlighter and a bit of peace and quiet for a few minutes because there are golden words of wisdom as it applies to all of humanity. My recommendation is to read slowly and meditate. Still hungry for more? Check out these two books. This is one the earliest books Montessori wrote about her method. Because many of the theories she discusses aren't quite fleshed out yet, the book is a wonderful peak into how her mind worked. This is the most up-to-date version of The Montessori Method. It's a great source of information about pedagogy, materials, the flow of the classroom, and other foundational principles.